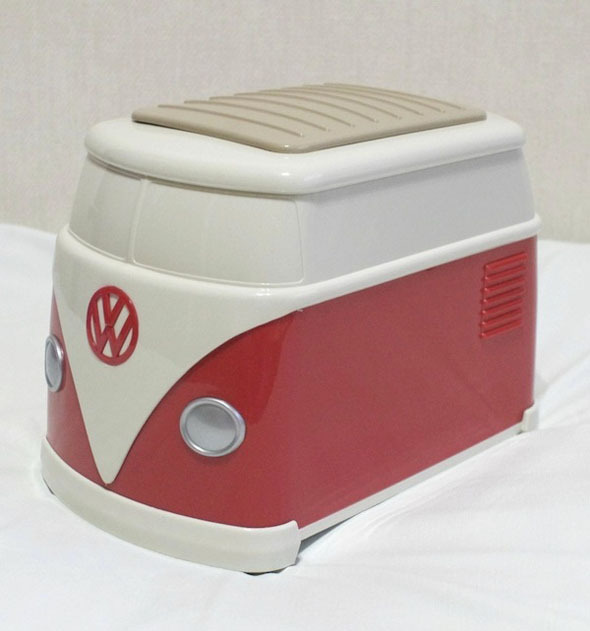 Put some interest in your daily morning toast with this cute little toaster inspired by the Japanese Volkswagen Bus. 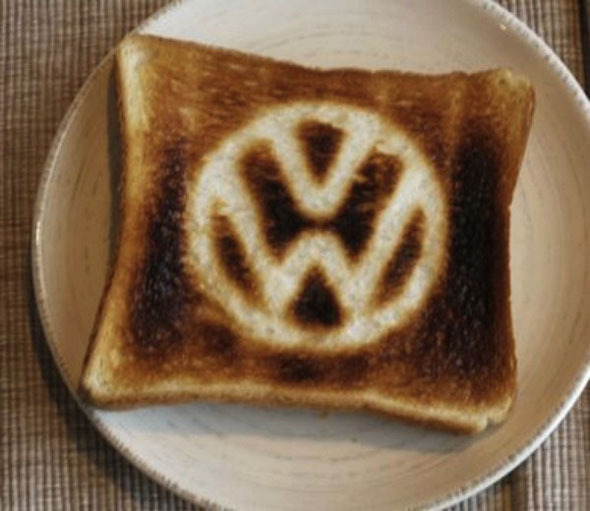 This retro looking toaster will burn the Volkswagen logo , a.k.a VW onto your toast . Originally from Volkswagen Japan, this is a truly collector item since only 5,000 units were ever made. This retro looking toaster can not be bought in retail stores, you can only find it on ebay . Keep in mind that this collector item will not come in cheap, since it retails for $488.88. For more aswesome toasters related articles check out our 18 Innovative Geeky Toaster Designs and the Serial Toaster Prints 6 Toasts In A Row.